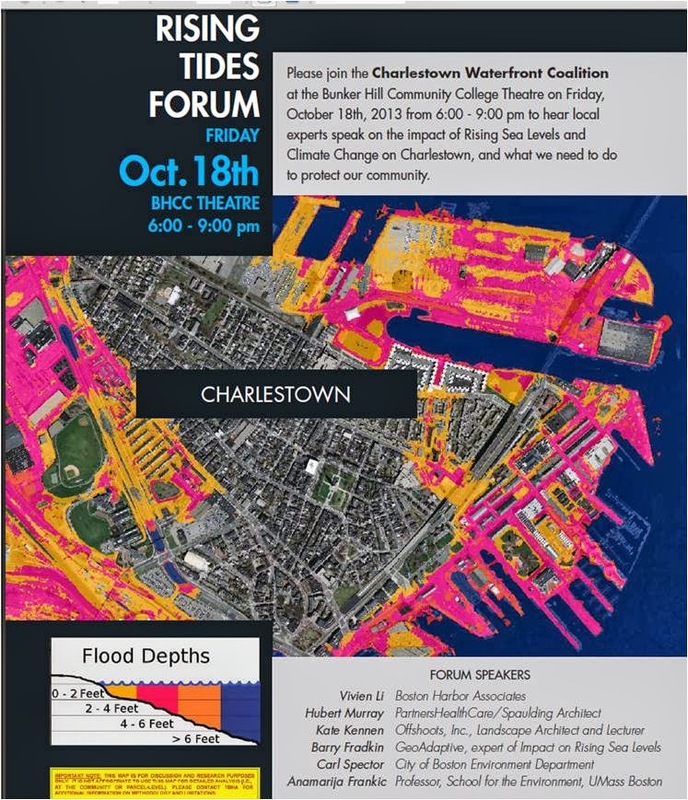 On October 18th the Charlestown Waterfront Coalition is sponsoring a forum on the potential impact of rising sea levels at Charlestown's Bunker Hill Community College. The speaking panel includes a number of impressive people. The Coalition sheltered, and in a sense incubated, Mass Oyster in its early days. The organization is active on multiple fronts.